60 Days in to the 2016 / 17 Season and I find myself asking where have the days gone! Well with a frantic lead up to the 14th of September when we got the first shots of the season sliding down the Ice it seems a distant memory. 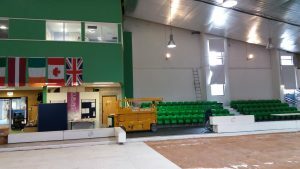 Dumfries Young Curlers have an infectious enthusiasm and passion for curling at the Ice Bowl and they showed this by supporting the facility in getting the Curling Ice ready of action. A New Nithsdale & Stewartry School league kicked the season of with support from Louise Cooper Regional Sports Officer who delivers the Schools Sports Championships in the region along with Junior Club committee member Emily Henderson who looks after the school league. The league is growing and provides an opportunity for secondary school pupils to get involved if they wish. Dumfries Ice Bowl Coaching is still delivered by volunteers and the programmes are more and more adventurous each season. A new club development programme has been well received as well as the new pathway for adult coaching. The junior coaching programmes are rewarding the juniors with excellent results across the u14, 17 & 21 Asham Slam events with around 6 teams at each age group. 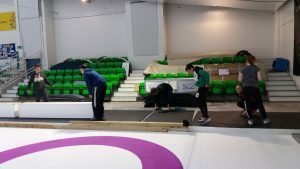 This seasons curling cool programme will see 1300 p6/7 pupils pass through the Ice Bowl and potentially could be the next superstar in Curling. Coach development has taken centre stage this season to try and develop our coaches to find that extra 10% from all the juniors, to inspire the new starts, and find those hidden gems amongst the thousands that we see each season. New Team Coaching & 1-1 sessions have been a big hit this season along with the new mixed doubles training programme as everyone gears up for its introduction to the Winter Olympics in 2018. The first major competition of the Season was the Annual Lions Bonspiel with plenty of teams supporting the Lions event and curling on great Ice produced some outstanding games and well executed shots. 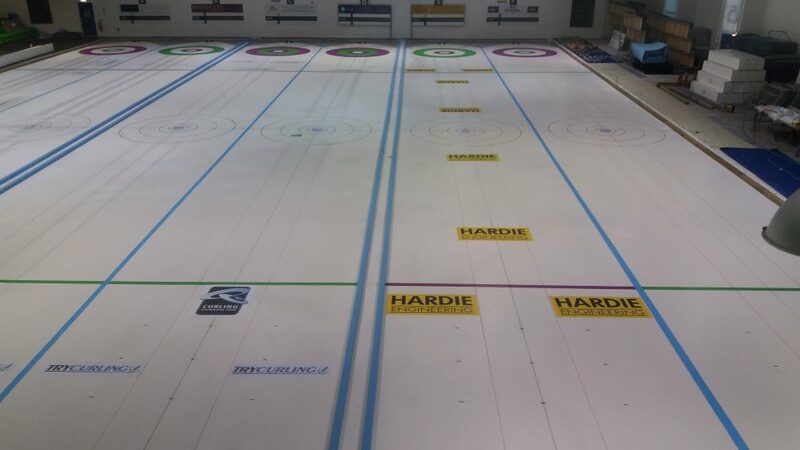 A new venture for me as Curling Development Officer was helping out at the RCCC Adult Camp in Stranraer at the end of the September, very well organised by David Jones and good fun had by all who attended. A MacMillan Coffee Morning has taken place this season organised by the Junior Club along with parents Kirsty McMillan & Ross Maxwell and supported by many others, with around £400 being raised for the charity. 60 Days in and the Ice Bowl gears up to Host the USA Ladies Tour on the 13th November. Only another 44 days until we sit down to enjoy that roast turkey dinner ….. yes Christmas and the first half of the season will be complete.